The UAE’s Internet of Things (IoT) market is set to grow at a CAGR of 28 percent to $35 billion by 2019, said industry experts at the recent SAP Innovation Summit Dubai, citing a report from MicroMarket Monitor. The UAE government also recently launched the UAE Blockchain Strategy 2021 to save Dh11 billion ($3 billion) in costs. 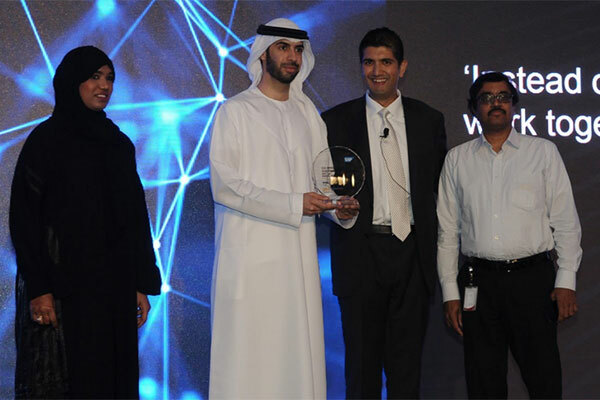 “The UAE is entering 2018 as the tipping point year for the Internet of Things, artificial intelligence, machine learning, and blockchain to go from theory to reality,” said Sameer Areff, chief operating officer, SAP Middle East South. Iman Al Omrani, vice president of Applied Intelligence at Expo 2020 Dubai, highlighted how data-driven insights applied through intelligent technologies will ensure an exceptional experience for its anticipated millions of visitors. wasl Asset Management Group’s pilot project “New Generation End-of-Lease Processes BlockChain Enabled” was named a Next-Gen Innovator finalist among thousands of global entries.